Tucson, Arizona – A new report stated that the Sonoran Desert Tortoise is no longer under the Endangered Species List, as the U.S. Fish and Wildlife Service (USFWS) announced on Monday. The USFWS have been monitoring the Sonoran Desert Tortoises for seven years, and a few months ago they concluded that the risks and threats to the tortoise are not serious enough for listing it as endangered or threatened, at least for the next 10 years. “I applaud the U.S. 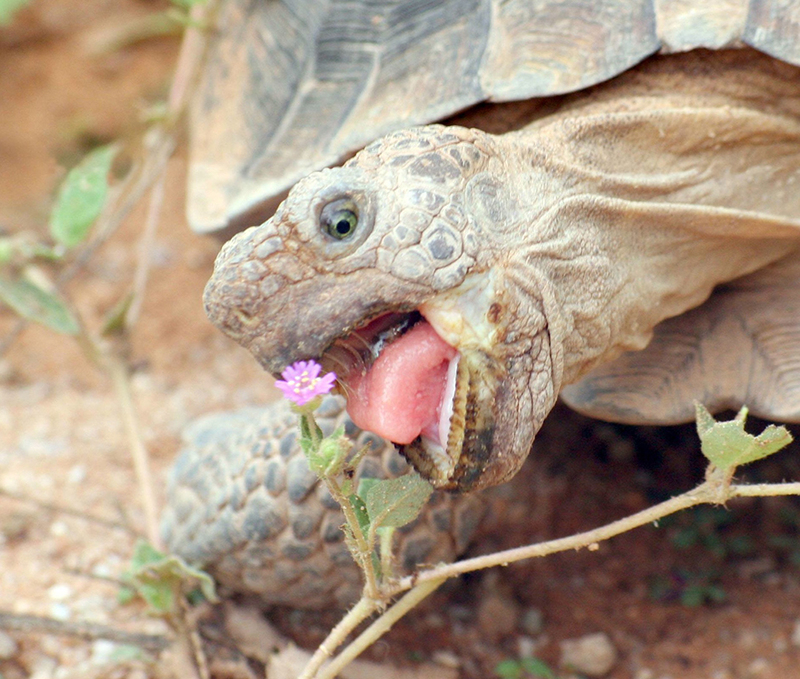 Fish and Wildlife Service’s decision not to list the Sonoran Desert Tortoise as a threatened and endangered species under the Endangered Species Act. This decision shows that state and federal collaboration can balance Arizona’s continued economic growth with shared tortoise-management goals,” Congressman Gosar stated, Political News reported. Moreover, “The FWS decision not to list the Sonoran desert tortoise is a prime example of the Department’s critical role in being the most trusted, respected and credible source for wildlife conservation and information. This model must be followed during the Services consideration to list any future species,” the Game and Fish Commission Chairman Kurt Davis stated as Prescott News reported. Three months ago, Representative Paul Gosar passed a proposal to impediment the USFWS from listing the Sonoran Desert Tortoise, as Endangered Species. The desert was endorsed by the Yavapai County Board of Supervisors. According to the statement, if the tortoise had been listed as an endangered species it would have imposed a restrictive regulatory framework across Arizona’s rural and urban land base. However, the decision made does not mean that the tortoises will be forgotten, instead a spokesman named Jeff Humphrey from USFWS, said that with the help of federal and state partners, they will continue checking the tortoises. But, the recent data provided suggests that there is no chance that the tortoises will become extinct in the next decade. “The decision spares homebuilders and ranchers from additional regulations for tortoise protection. Development and livestock grazing were listed by environmental groups as among the threats to the species, with other threats including invasive species, fire, habitat fragmentation by road and other infrastructure, human-tortoise interaction and climate change,” according to Tucson, the Arizona Daily Star. On the other hand, environmentalists were very unsatisfied at the USFWS decision, and complained that it was based mostly on what they called “theoretical” science and not relevant data. WildEarth Guardians and the Western Watersheds Project had asked the services to list the tortoise as endangered species. In addition, The Sonoran tortoise lives mostly in Southern, Western and Northwestern Arizona and in two-thirds of Northern Sonora. Its environment is primarily rocky outcrops with the base of mountain ranges, both steep and gradual hills, and to a minor size, in intervening desert lands between the mountains. It has been listed as threatened since 1990. The tortoises became a candidate for protections under the Endangered Species Act in 2010 after USFWS discovered that increasing population growth in the Southwest and northern Mexico was threatening the animal’s habitat, the New York Times informed.